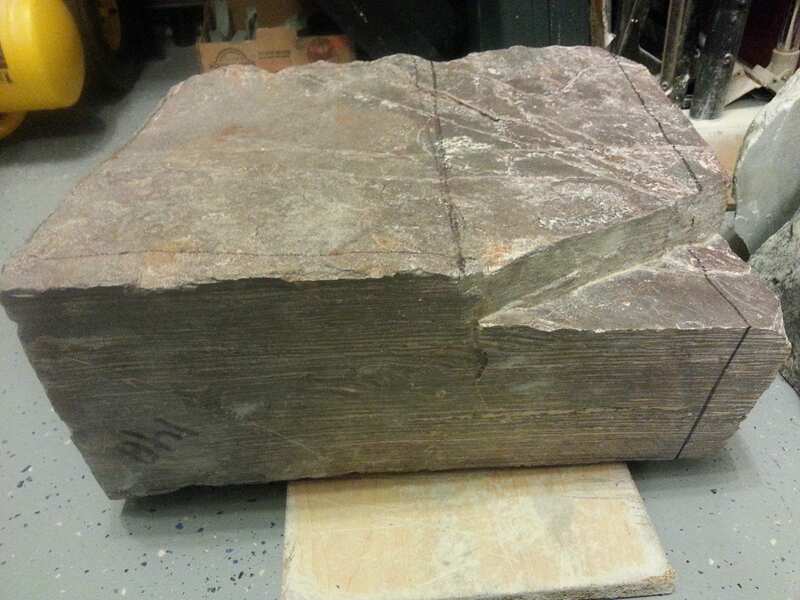 This is one of the rarest carving stones that I have ever come across, and I only have the one block. It is amazing and stunning. A rock that looks like wood grain. This stone is called Purple Striped Pyrophllite. Pyrophyllite is basically a volcanic ash/mud that has been heated and compressed for millions of years. This version obviously has some special material inclusions that give it this amazing look. 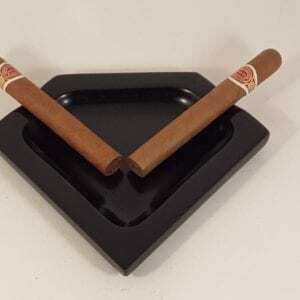 This will include two levels of cigar storage, so it should fit around 75 cigars. 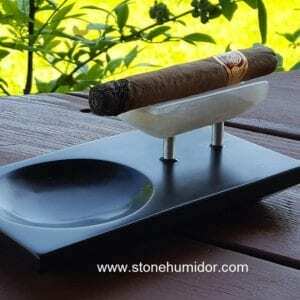 The humidor is carved from this solid piece of stone, and the lid is a solid place on design. The interior racks are made of Spanish Cedar. 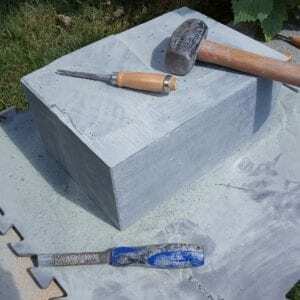 No other additional touches will be required on this piece, as the stone will be amazing on its own. I expect this one will go fast, and unfortunately the opportunity to get another made from this stone will be as rare as the first, if it is even possible. If you are interested in securing this humidor now, you can do so with a deposit. Just send me an email via my contact page. 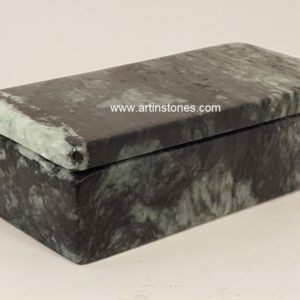 To find more information on why these solid stone humidors are the best, look for more information in my products menu under Stone Humidors. Nothing is as good or unique as these.